In today’s electronic age it is easy to lose sight of how impactful printed marketing materials still are – especially at a bustling trade show. If you are just starting your business or you want to push your brand then it is imperative that you utilize both electronic and print services for your next trade show. Through printing you can create a dazzling brochure, publish a booklet that outline’s your business concepts or origin, make banners, wall clings, and special event promotions. In addition, having nice merchandise that features your business’ logo for promotion is always a great thing to give booth visitors. During a trade show, your stand must look outstanding and be ready to provide limitless print material to meet the needs everyone that stops at your company’s booth. If you want to make a memorable impression at your next trade show, here are a few printed marketing materials that can help you do just that! Imagine having eye-catching banners, inspiring promotional wall clings, or signs that promote your business’ special events. Large print grabs the eye and draws people in. 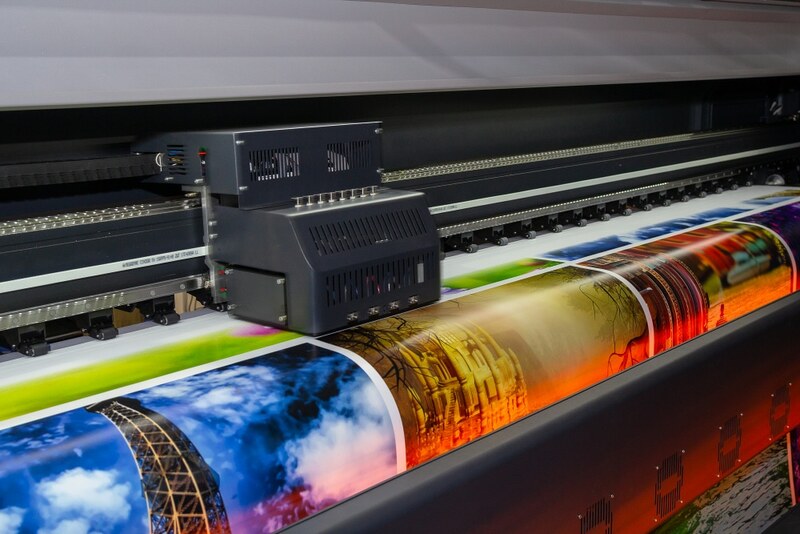 Undoubtedly, large format printing garners more acclaim than any other physical promotional tool. 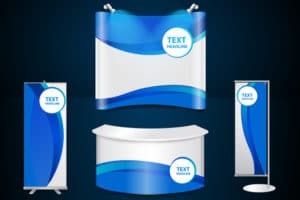 You are going to want to deck out your booth with colorful banners and other large scale items so people are naturally attracted to your display. Remember, you want them to take the time to walk over and discuss your services with you face-to-face. Are you pushing your own unique brand, product, or even a YouTube channel? Well, then you are going to need specialized promotional items to either sell or hand out at special events. The items must have your brand or business logo emblazoned across the surface. Special promotional items can be a number things such as pens, coffee mugs, notebooks, balloons, specialty pads, mouse pads, water bottles, wrist bands, headbands, and tee shirts. Booth visitors will take the item home and remember your business. In some situations, the freebie will inspire them to seek out our services. Swag/goodie bags are great to hand out to everyone who takes the time to stop at your booth. You want people to become familiar with your brand or business but you don’t want to focus on solely on the net or social media. At trade shows, ask everyone to fill out a complete form that provides you with their contact information. Why not use brochures, and other sale items that tell your business story or outline what your brand is all about and give booth visitors physical information about your company that won’t get lost in their browser history. You could even include coupons or other cost-saving promotions that grab their attention and encourage them to visit your store or business. 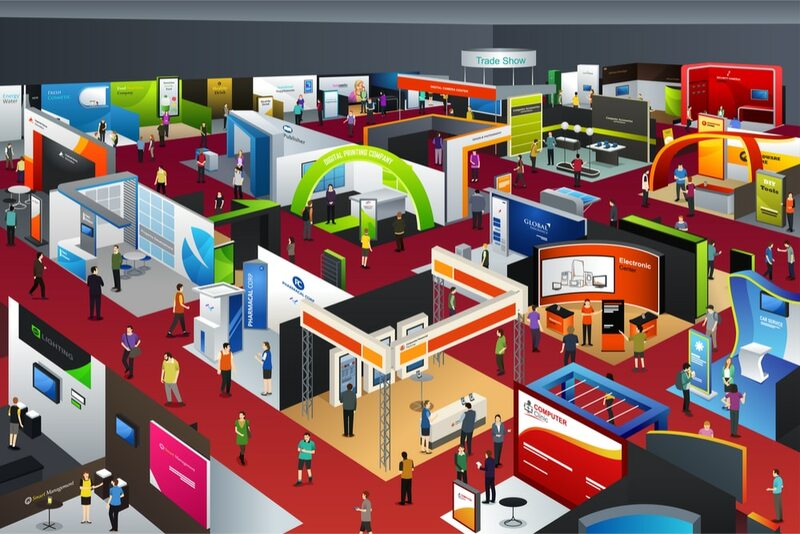 Is there a trade show or another event going in your region that your business could benefit from being apart of? Then it is time to set up a booth and give out promotional items and brochures to pull in clients. Let your industry know exactly what your business is all about and explain your brand in a very straightforward way. While there, please encourage people to take the time to sign up sheet for a gift certificate or to win a prize. On the sign-up sheet, you will ask for their contact information. Within a few days after the event, use the follow-up sheets to reach out to all of the people who stopped by your booth. They will love the personalized touch. On the follow-up sheet, be sure to ask them what particular services they might be interested in obtaining. When you reach out to them in a few days, you can take the time to discuss the services that they showed an interested in. 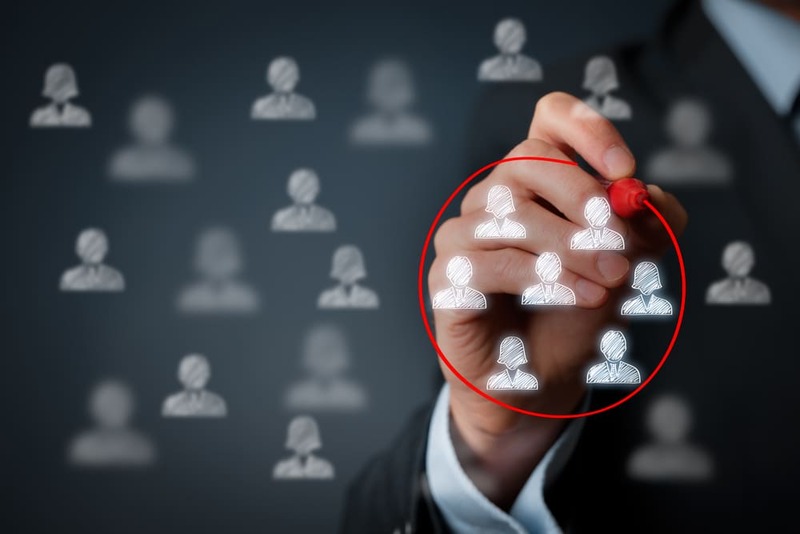 Such personable marketing is a classic way to gather more clientele and establish a name for your company or brand in the community. The services of a personalized printing company are an asset to your brand and business. You can print up catalogs, stationery, postcards, posters, greeting cards, calendars, statement stuffers, booklets, bookmarks, door hangers, invitations, business cards, flyers, magnets, and flyers for promotion. Business Cards: You can never hand out too many business cards. Place the cards in holders all around your booth so no one has to reach very far for one of the tiny gold nuggets that outline your company’s details. Brochures: Do not skimp on brochures. Choose full-color beauties that capture the eyes. Place an ample supply of them at your booth. Flyers: Always keep a stack of flyers available that list your company’s services in an easy-to-read format. Bumper Stickers, Decals, Magnets: Bumper stickers, decals, and magnets are classics that everyone loves receiving. Don’t run out of the key items. Notepads: Tiny notepads or post-its with your company’s details are a very nice addition. Post-card Mailers: Have a stack of postcard mailers available to ask everyone who stops by to fill out. You can even offer a chance to win some item if they take the time to write down their info. At Action Mailing and Printing Solutions, we know exactly how important trade shows and other community events are to a business or brand. Please contact us for all of your printing needs.